Grace Notes: And so it begins…. I’ve just had my first day of my final year of Undergraduate study. It’s a really scary even if I’m studying for a Masters, I’ll still be a grown up and I’m not entirely ready for that sort of responsibility yet! 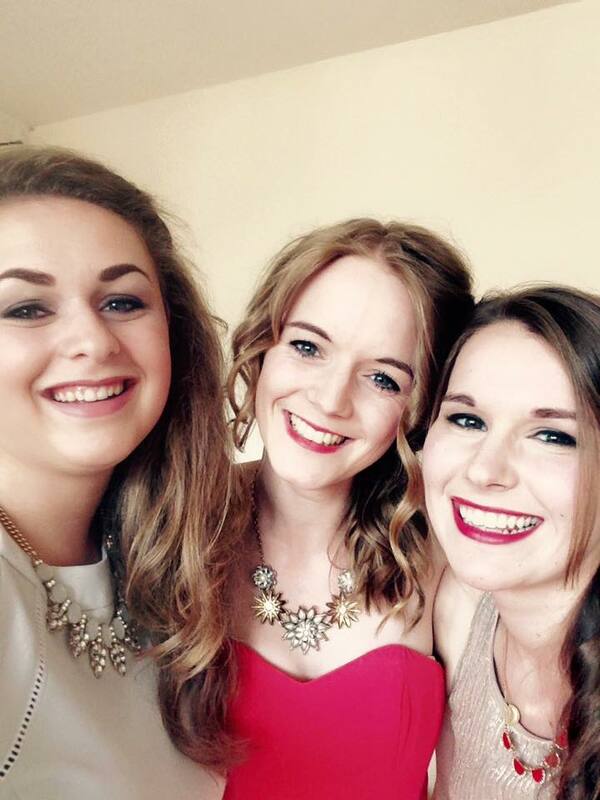 I went to a few of the fresher’s events and felt so old! 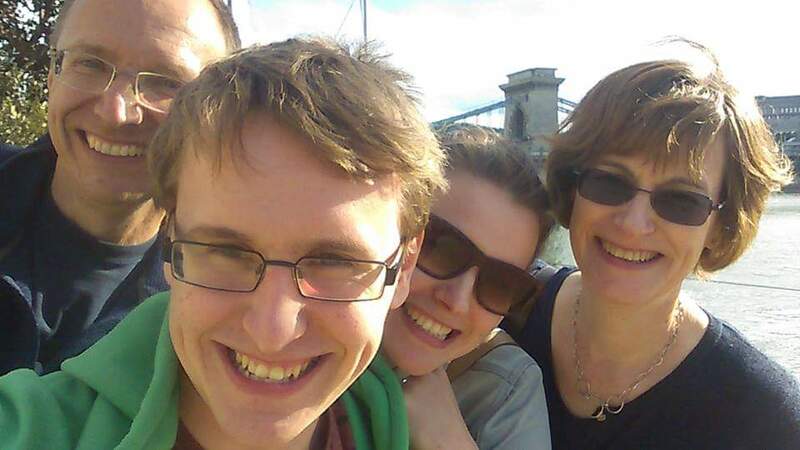 Can you see how much my flatmates and I have changed!? 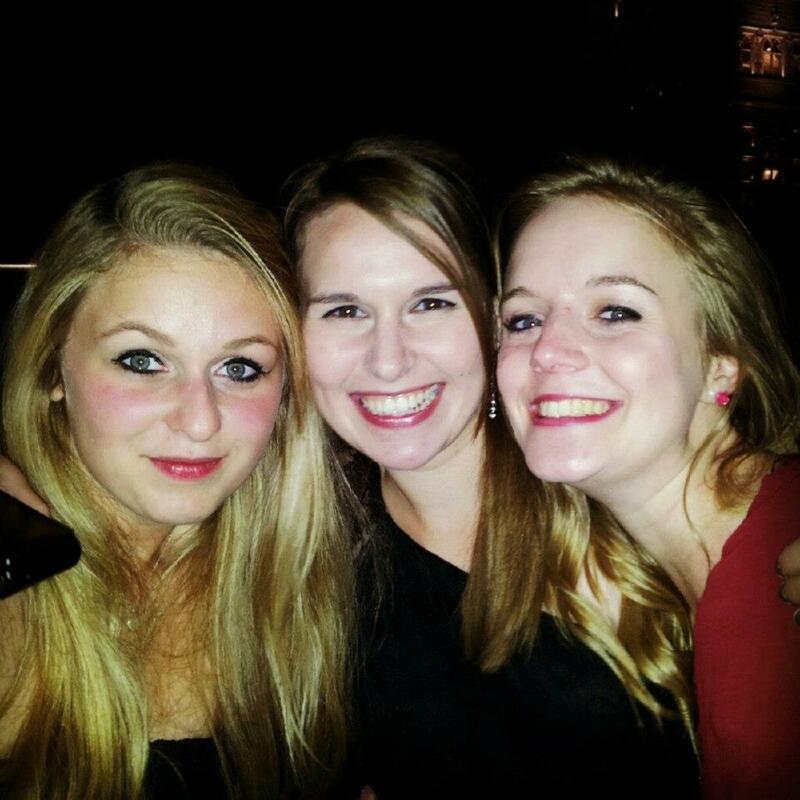 First year Boat Party ( 3 years ago). It’s strange seeing another load of new students starting and watching them get their bearings around college. I remember feeling that lost as if it was yesterday and I can’t quite believe that it was four years ago for me! I do feel for them though as the Trinity Laban music department is a maze and it’s so easy to get lost, even if you’ve been there for years! In the next week or so, I’ll be sending off my applications for Masters courses, and I’m in the middle of writing my personal statement. Writing down everything that I’ve done for the past three years makes me realise just how much time has passed and proud of how much I’ve actually done. I just wish I’d started writing it a tad earlier…. My advice for anyone thinking about applying, is to start early!! This year I’m going to try and enjoy and get the most out of it. I want to be able to take part in as many things as I can and make the most of the opportunities I have at the moment. Because who knows what will be going on in a years’ time! I hope you all have had a great start to September and if you’re new at school/college/university, then good luck! You’ll have an amazing time! 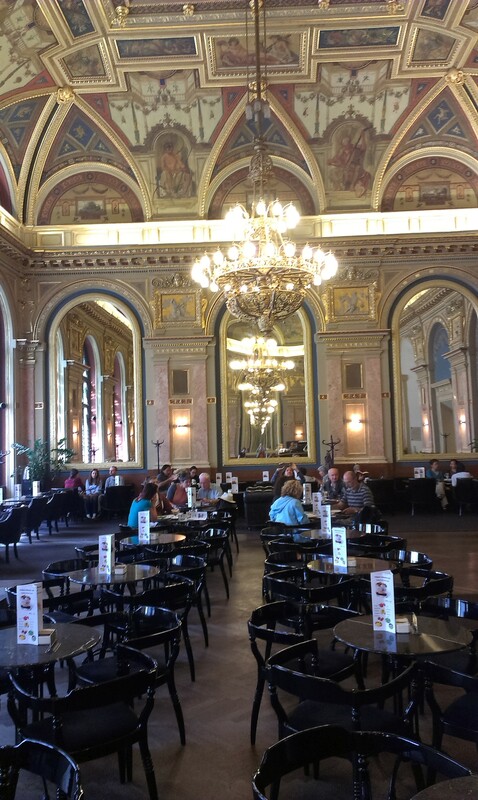 Last week I went on holiday to Budapest. This was to celebrate my parent’s 30th wedding anniversary and my brother and I managed to tag along! I absolutely loved the city and would totally recommend it if you are thinking of having a city break. On the music side, there is also a fair number of composers from Hungary, so it was great to find out more about them. But if you’re not a musician, there are so many amazing things this city offers. Here are a few of my favourite activities. The Castle and Citadel – We visited both of these on our first day. It was a HUGE walk, all the way up the side of the hill to the Citadel, then along the top to the castle, round and finally back to our apartment. By the end of that day we were knackered! But it was totally worth it. 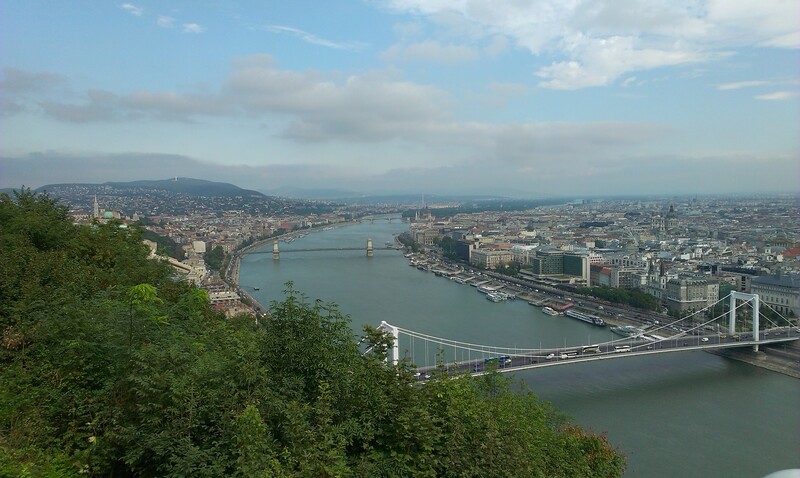 The views from the top by the citadel were amazing, and the town on that side of the river was so interesting! We also came across a great music museum, which I’ll write a full post on soon! The House of Terror – This is a museum housed in the old headquarters of the secret police. It was fascinating, and gave a very strong impression of all of the awful things the people of Hungary have been through. There was information throughout in a few different languages, so it didn’t matter that I’m not fluent in Hungarian. Although this wasn’t the most ‘fun’ experience, it was so interesting and completely worth visiting. The section at the end showing the prison cells was really harrowing. The food – I ate a lot (probably too much, but I was on holiday…). We mainly had our meals (bar one day) at street markets, that are situated on the sites of buildings that have been bombed. So you walk down a street, turn a bend, and suddenly there’s this small market, selling amazing food. My personal favourite was the Langos, which is a deep fried wheel of dough with toppings of sour cream, sausage or paprika on it. YUM. We also ate rather a lot of cake, which was incredible. I think my favourite was one called the ‘Cardinal’ which is a mix of sponge and two types of meringue. Delicious. 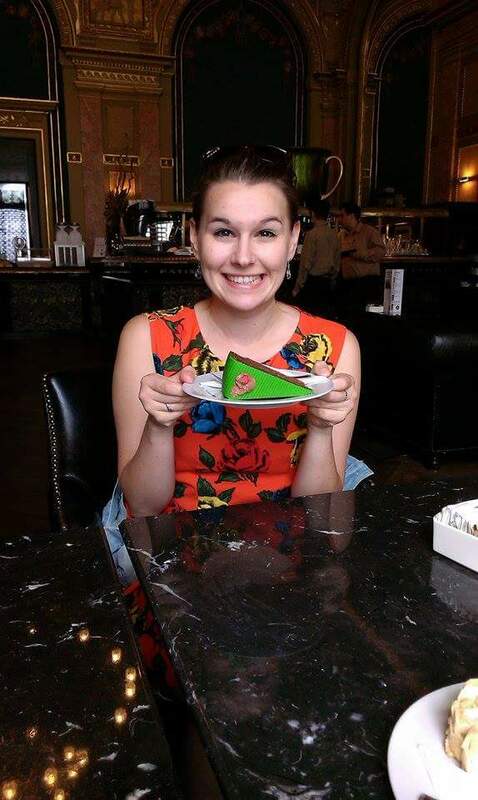 This one below is a royal torte which I had in the Alexandre bookcafe and I loved it (as you can probably tell by my face…)! The Alexandra Bookcafe – This was possibly the most beautiful cafés I’ve ever been in, with a selection of some incredible cakes. Totally worth visiting just to see the incredible décor! The thermal baths – We decided to visit Gellert Baths at about 8.30am, and it was empty except for a few elderly couples. We spent most of our time in the two outdoor pools. One was a swimming pool with the most amazing wave machine I’ve ever experienced! It was hard to stand up as the waves were so strong! The other outdoor pool was a warmer bath. It was about 36 degrees and was so lovely to sit in, soaking up the morning sun. I would seriously recommend visiting one of the baths, but get there early so you have more space and the experience is more relaxing! 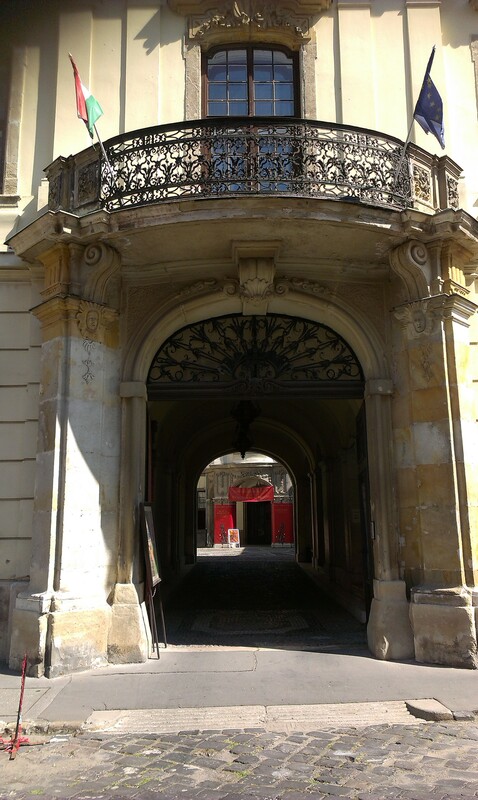 The music museum – This is a little museum near the castle and was a real find! I’ll be posting a full blog post about this soon. Shoes on the Danube – Just next to the bank of the Danube, near the parliament building is a memorial to the Jews who were murdered and shot into the Danube. It’s a lovely, moving sculpture, and worth a look. 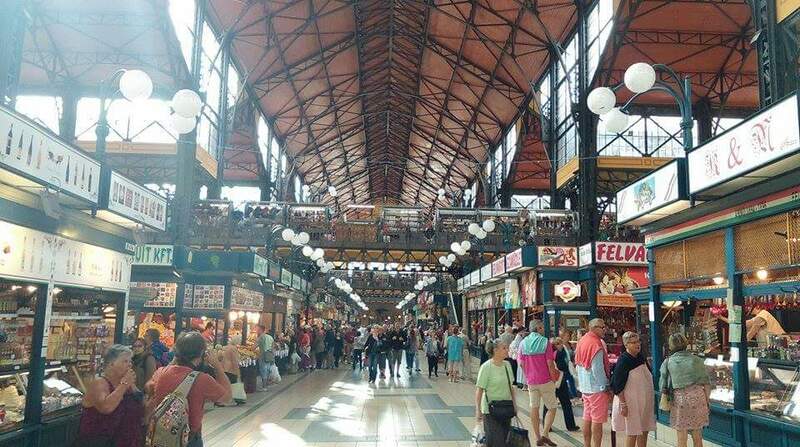 Covered market – This was incredible and enormous! The ground floor is almost entirely food, and the smell of sausage and paprika is delicious. We also bought some amazing cakes from here, as well as paprika and Hungarian cheese. Upstairs has gift stalls, with loads of awesome Hungarian embroidery and leather stalls. 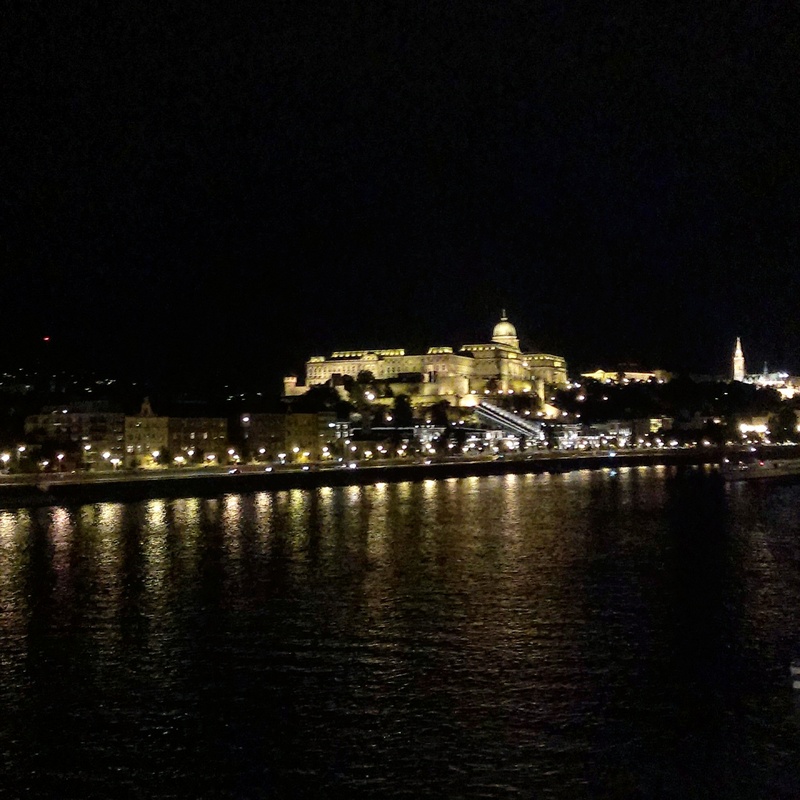 View down the Danube at night – I think this was my favourite part of the whole trip. The bridge closest to us was the Elizabeth Bridge and almost every night we walked across it to see the view. Standing in the middle of the river, looking out at the city was stunning. It’s a view I don’t think I’d ever get tired of. Truly beautiful. Now I’m back in London, and waiting for term to start. Missing the holidays already!